Provide a storewide discount of 10% to products upto 250$. Let us see, how to cap the discount. This scenario is only possible when the discount is given in subtotal basis. You will have to create, 2 discount rules for the same: One with a percentage discount and one for the Maximum discount of 250$. This has to be created with a Subtotal as a condition. 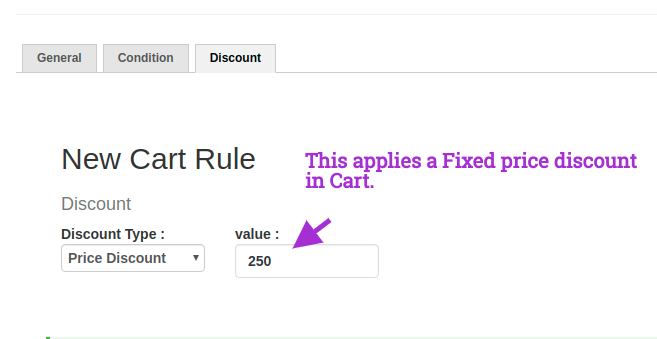 You can create this through Cart discount rule for a Fixed value discount. In rule 1=> Use 10% discount until the subtotal is 2500 ( subtotal less than - 2500). 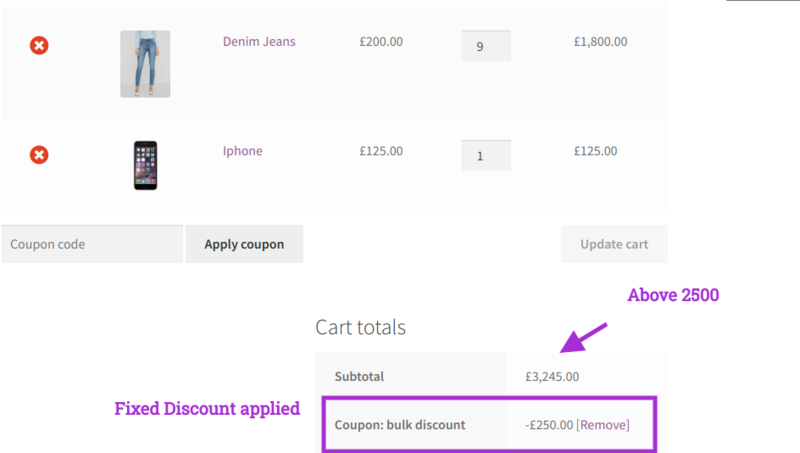 Here you will choose "Subtotal Less than" so that you can provide 10% discount until the cart subtotal reaches 2500. Provide a Percentage based discount so, 10%. 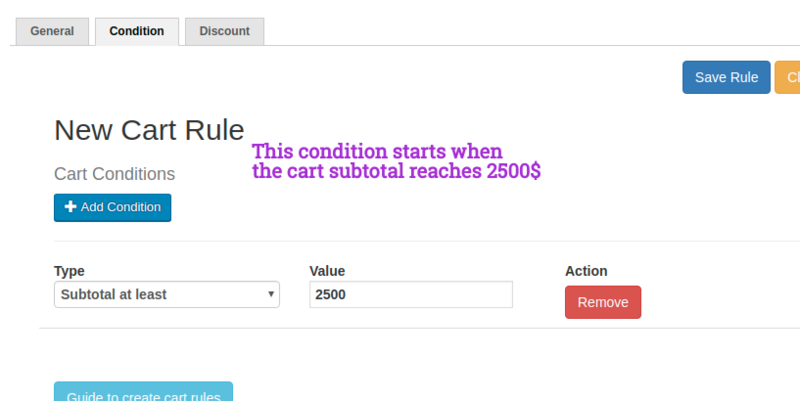 In rule 2=> When subtotal atleast -> 2500 and above provide a Fixed 250$ price discount. 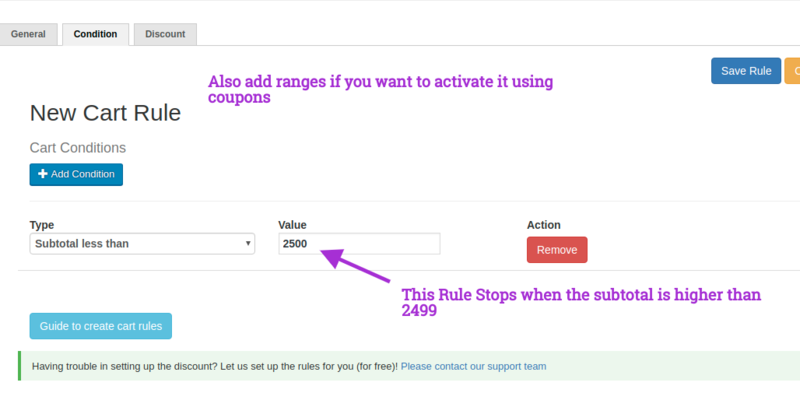 NOTE: You can include the coupon code in both these discount rules. Here you can set up a Fixed Price Discount. So, even if the cart reaches 5000, the discount remains the same. Fixed price applied. So the discount will not increase. 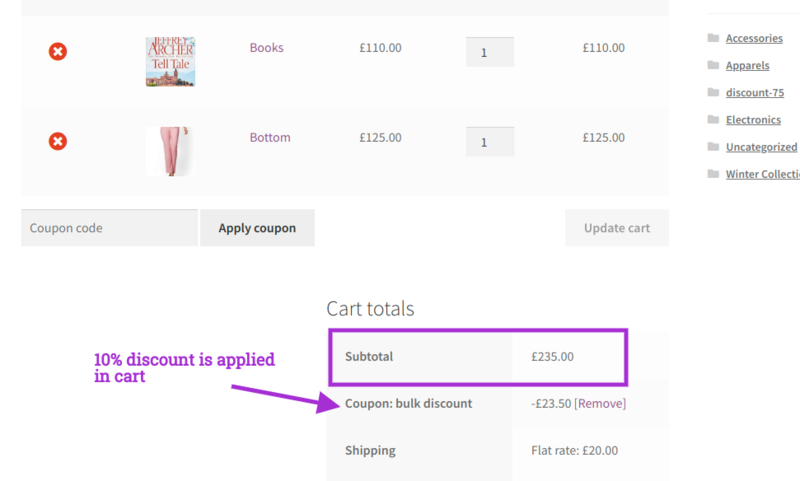 If you are creating only a subtotal based discount you can have it without a coupon with the free version.